These ideas for your upcoming Easter celebration are easily attainable and fun. 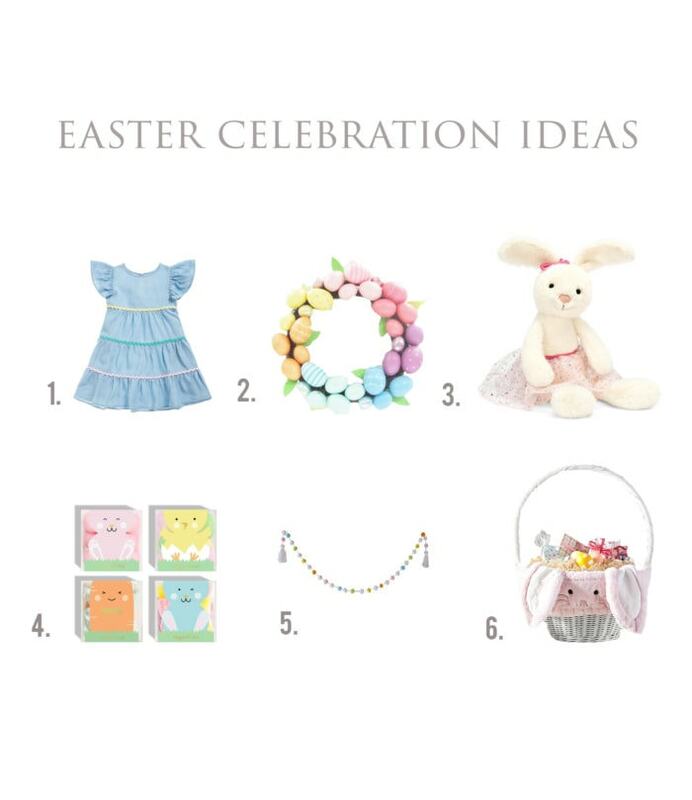 From Easter ideas for kids to Easter gift ideas, your Easter celebration is sure to create special memories! This Easter, don’t wait until the last minute! If you’re anything like me, sometimes planning for holidays can get away from you. But I’m trying so hard this year to be prepped and ready for a great celebration on all levels! Celebrating Easter doesn’t have to be expensive and elaborate, and it’s definitely not just for the kids! Creating heartfelt memories for a holiday can be for anybody special in your life from your neighbors to your co-workers. I am so excited to share a few of my favorite Easter celebration ideas with you! This is the cutest Easter dress for toddler girls! I ordered this Rickrack Tiered Dress for Claire as a special surprise for Easter morning! Celebrating Easter at home can be as simple as a few cute decorations around the house. This Easter Egg Wreath is such a great addition to a front door or entryway to celebrate the season as guests walk in! Of course the kids love getting candy for Easter, but I like to switch things up and do something a little more! This Pink Ballet Bunny would be so cute added to a pretty pink basket. Spread joy to a variety of people this Easter with these fun Easter Candies! They come in a pack of four individual cubes, so you can split it up as multiple gifts! Attach heartfelt notes to each cube and leave them as sweet surprises for your loved ones! I love putting together special surprises at home for the kids to wake up to on the morning of holidays. I’m so excited to put this Pom Pom Garland up in the dining room as a backing for my table decorations! I almost ordered this for Claire but decided to find something different so Charlie and Claire could match. I’m still obsessed with how cute this Pink Eared Bunny Basket is! Raise your hand if you plan to incorporate one of these Easter ideas into your Easter celebration this year! Whether you’re gathering Easter ideas for the kids or Easter gift ideas for your friends or co-workers, I can’t wait to see what you come up with. Leave a comment below and let me know your plans!